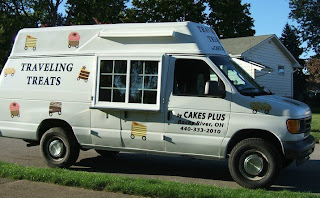 But I think I've found the adult equivalent of an ice cream truck - the Cakes Plus Traveling Treat van! Let's get down to the nitty gritty, though. How does this traveling treats concept work? Similar to Dim and Den Sum - Cleveland's only other food truck - Cakes Plus has a facebook page that shows upcoming stops, so you can figure out where to go to get some of Cakes Plus' delicious goodies. Yesterday I located the Traveling Treats-mobile in Mayfield Village. I literally felt like a kid in a candy store. There were SO many amazing sounding desserts on the menu - everything from Ultimate Brownies - including vegan Ultimate Brownies - to cupcakes (yes, there were vegan cupcakes, too!) to cheesecake. I could have ordered one of everything on the menu, but I stuck to a vegan brownie and a carrot cake cupcake. A lunch of champions, right? So how were my goodies? Let me just say, the next time the Traveling Treats van comes to my neighborhood, I'm going to need a shopping bag when I make my purchases. 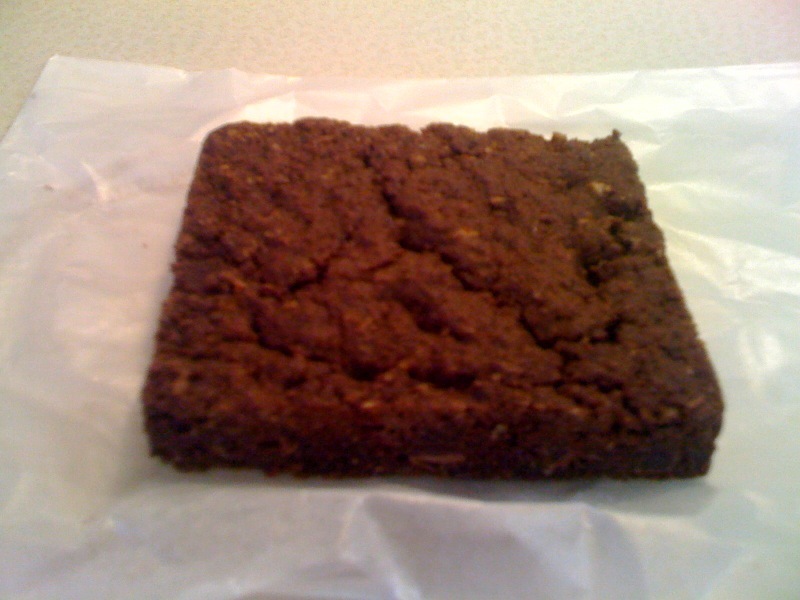 The vegan brownie was one of THE best brownies I've ever eaten - hands down. And that's counting all the non-vegan brownies I've had in my lifetime. 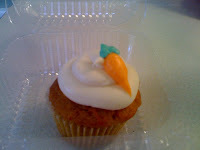 And the carrot cake cupcake...amazingly moist and delicious. The frosting wasn't too sugary or crunchy or any of the other things I tend to not like about cupcakes. I could have eaten a dozen. Clevelanders - I encourage you to check out Cakes Plus' facebook page to find out when this treat-mobile is coming to a neighborhood near you. (or if you're so inclined, you can order some Ultimate Brownies and have them shipped to you! or you can even contact Diana to have a cake or other baked good made for a special occasion) It's ok to indulge in some gluttony if you're supporting a local business, right? That cupcake is so cute!